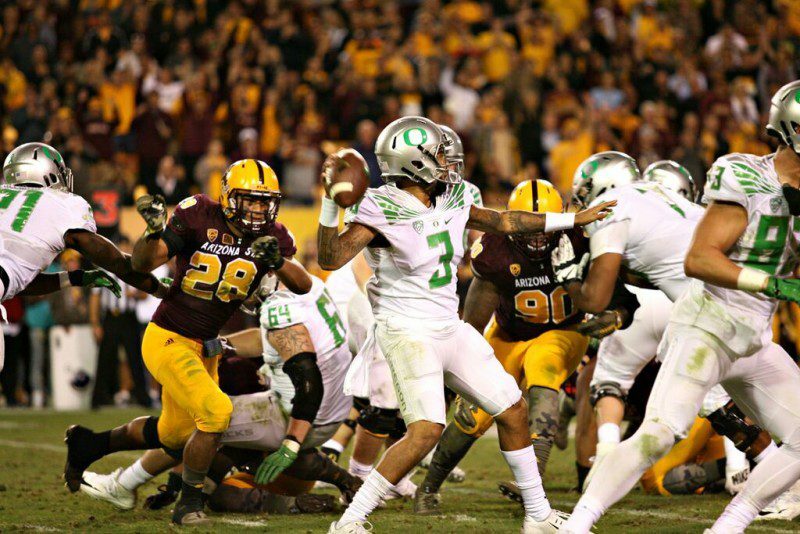 Vernon Adams final three passes went for touchdowns in Oregon’s 61-55 victory over Arizona State. 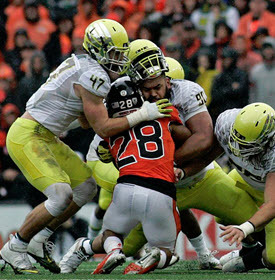 (I do need help to make this the best anywhere and a handy resource for all Oregon fans. If you could give about four hours of week of help for a few months–let me know. charles@fishduck.com and fans thank you! Devon Allen catching a touchdown pass against Washington St.
–10. 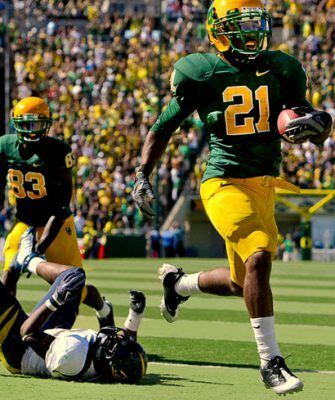 2014 Oregon Ducks vs Stanford Cardinal. The Revenge Game! 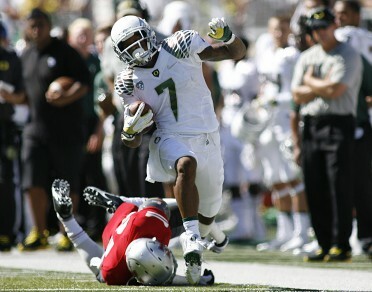 Lowe shakes off a defender along the sideline.